If you go down to the woods today…you’ll find the sweetest little two-screen independent cinema tucked away among the trees. 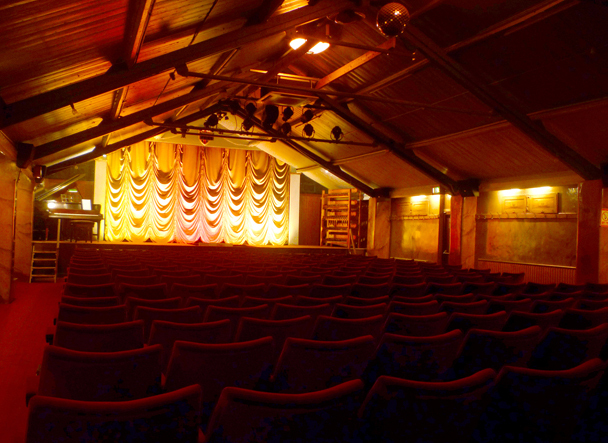 The Kinema in the Woods at Woodhall Spa in Lincolnshire is a regional institution and provides a unique picturehouse experience for its patrons. Manager Philip Jones swept a path through the autumn leaves to let Jez Conolly in on the Kinema’s history. JC: The woods is not somewhere one would expect to find a cinema – how did the place come to be where it is? PJ: The Kinema in the Woods started life as a multi-purpose sports and entertainment centre dating from the late 19th Century. The pavilion building sat in the pleasure grounds of The Victoria Hotel until the hotel burnt down in 1920. In 1922, Sir Archibald and Lady Weigall purchased the Victoria Hotel ruins including the sports pavilion and, with the assistance of Major Carleton Cole Allport, the pavilion was transformed in to a cinema. Originally called ‘The Pavilion’, the cinema opened its doors on Monday September 11th 1922, showing a Charlie Chaplin film at 7pm, and was renamed The Kinema in the Woods in 1930. When being converted into a cinema, the film had to be projected from behind the screen, known as rear projection. This is due to the roof trusses in the building, which are too low for an image to be projected from the back of the auditorium. The films are projected from behind the screen and on to a mirror in order to flip the image and Screen One at The Kinema is believed to be the only full-time cinema in the UK still using rear projection. 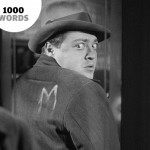 JC: The obvious question: why ‘Kinema’ instead of ‘Cinema’? PJ: When The Kinema opened in 1922, moving picture theatres were known as Kinemas, which was taken from the German word “kinetic” meaning motion and movement. Kinema was widely used and indeed the trade magazine was called “The Kinematograph Weekly”. Over time the word cinema (from the French “cinematic”) became more prevalent, and today there are lots of cinemas, but only one Kinema! JC: Being located where you are, do you ever have little visitors in the form of woodland creatures sneaking in to watch the films? PJ: We often see squirrels around and the occasionally deer! We’ve never had any in to watch a film, but a squirrel has once been found in the projection room (which can be accessed from outside) looking through the bins! JC: What role do you feel the Kinema plays in the local community? 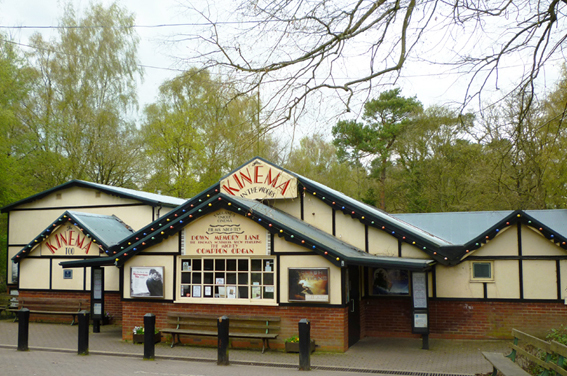 It is unusual in this day and age for a village the size of Woodhall Spa to have its own full-time cinema and The Kinema plays an important role in many different ways for the local community. It is a place of entertainment for residents, and a valuable resource for local groups such as schools. The Kinema provides access to up to date films for local residents 364 days a year, many of whom are loyal and regular visitors, as well as classic films and concerts. Visitors are numerous and the Kinema plays its part in attracting many tourists to the area, both to experience its unique ambience and to enjoy its historical exhibits. JC: What’s the story behind the Compton Kinestra? PJ: Major C. C. Allport ran the cinema until 1973, when it was bought by its present owner, James Green and in June 1987, James Green installed the Compton Kinestra organ in The Kinema. The organ features an ornate lacquered red and gold console that has an eighteenth century oriental design and the organ was originally installed in the Super Cinema, Charing Cross Road, London. A lot of cinemas used to have organs installed to provide a soundtrack to the silent films. The name “Kinestra” is a contraction of Kinema and Orchestra, as the organ replicates a full orchestra. James Green wanted to bring back the atmosphere of early cinemas and felt an organ would complement the art deco surroundings. 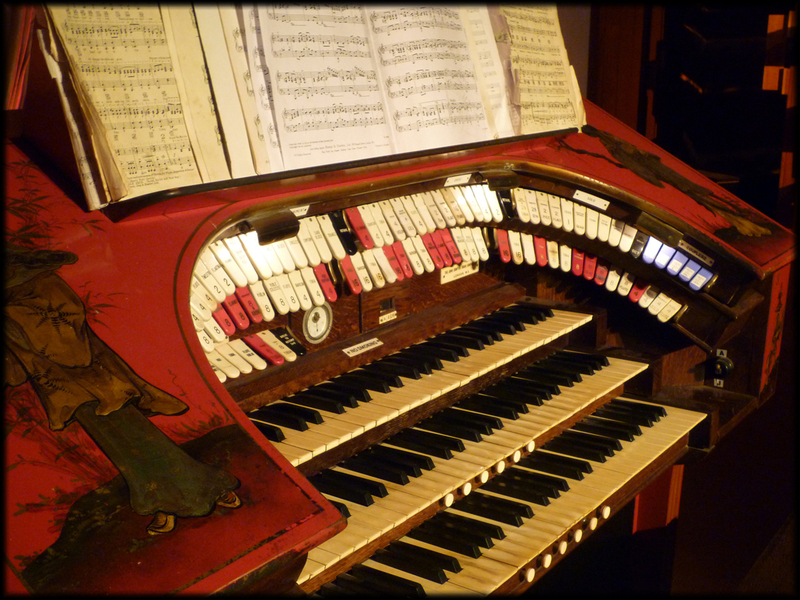 The organ is played every Saturday night prior to the film in Kinema One and we also hold organ concerts throughout the year. 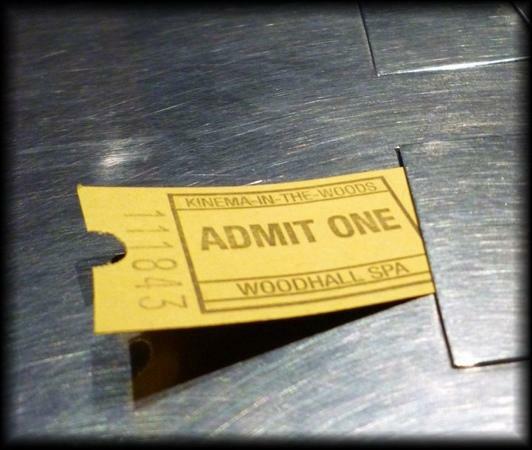 JC: What does it take for small independent cinemas like the Kinema to keep going these days? PJ: I feel that independent cinemas must offer something different to the multiplex experience to survive. Here at The Kinema we offer a friendly and traditional cinema experience in an art deco surrounding as well as The Compton Organ, which is played regularly every Saturday night. 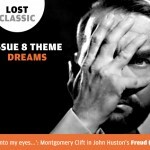 We show a good mixture of blockbuster films and non-mainstream films, and it is important to try to cater for our local audience by listening to feedback about what sort of films they want to see. JC: Do you have any special screenings coming up? 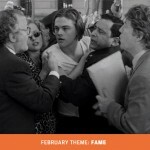 PJ: As well as showing release films, we have a classic film screening once a month. The next two of these being Meet Me In St. Louis on Wednesday 24th of November at 2.15pm and It’s A Wonderful Life just in time for Christmas on Wednesday 15th December at 2.15pm. We also have renowned organist Robert Wolfe performing his annual Christmas Organ Concert on Sunday 5th December and on Christmas Eve we have our Kinema Christmas Spectacular with organ entertainment, a festive sing-along, short cartoon and a special visit from Father Christmas!